My formative years were spent growing up in County Meath, Ireland. At school, one of my favourite subjects was English and I had the opportunity to have several items (short stories and poetry) published in our school magazine. I really enjoyed building up a story. Being uncertain as to what career to pursue I decided to spend some time working as an ‘au pair’ in Madrid, Spain. On return home, I enrolled for General Nurse Training in Dublin. 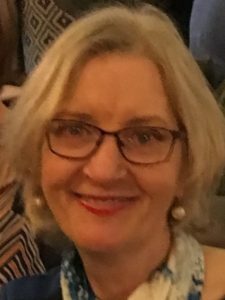 In the early 1980’s my career led me to Northern Ireland and the Accident & Emergency Department of the Royal Victoria Hospital in Belfast. This was a time of great trauma and conflict which was termed ‘The Troubles’. Nevertheless, this experience gave me great insight into human nature. In early 1990, I left nursing behind and enrolled for a full-time degree at Queen’s University, Belfast. Following graduation, I entered the world of Clinical Drug Research & Development. I eventually decided that writing was something that I had greatly missed. I was in the habit of penning ideas and putting them away in a drawer to gather dust, but ideas were there demanding to be penned. 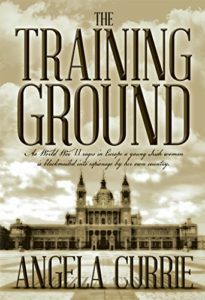 Eventually my book The Training Ground was completed. I truly enjoyed the process and the engagement with my characters. 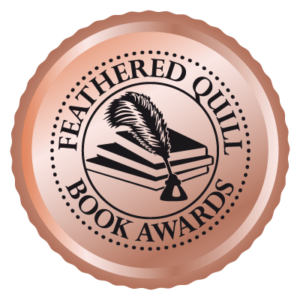 I am absolutely thrilled to have won third prize in the Feathered Quill Book Awards for the Best of Backlist category.